With better products on the market and increased awareness of the nasty effects of UV rays, the sunless tanning industry is showing steady growth. After years of nagging from scientists and dermatologists, it seems that people have finally gotten the message that UV rays are very bad for their skin and are instead turning to sunless tanners to get their bronzing fix. This year has already seen a 9.5 percent uptick in revenue from sunless tanners (in the five years before 2014, revenue grew 15.3%), putting it en route to becoming a $763.4 million industry by year&apos;s end. And it won&apos;t stop there. According to new research from IBISWorld, the self-tanning industry is on track to grow significantly over the next five years, thanks to improvements in the quality of products (read: They don&apos;t dye your skin orange), more widespread awareness of the negative health impacts of UV light and stricter regulations around tanning salons. Frugality is also a factor. A tax imposed on the use of tanning beds in July 2010 accounted for an approximate 21.4 percent growth in self tanner use the following year. The growth of the industry overall has lead to more players getting in on the action. Over the last five years, the number of companies hawking self-tanning products has grown at an annual rate of nine percent to roughly 212 operations in the U.S. alone. Meaning there are a lot of options out there -- both in terms of brands and types of products. Of the products and services available, self-tanning lotions (like Jergens) have proven to be the most popular option -- they were the favorite of nearly 40 percent of those surveyed by IBISWorld. Bronzer powders are nearly as popular, clocking in at 32.6 percent. A significant 20.9 percent opted for sprays and 4.3 percent prefer the ever-mysterious towelette application method. Only 2.3 percent of those tanners are crazy enough to take ingestible self-tanning accelerators, which just sounds like a bad idea since the majority of them aren&apos;t FDA-approved. Self-tanner users alsp seem to be fairly picky about which brands they use. Although beauty giants like Clarins and Johnson & Johnson -- the latter of which operates Neutrogena and Aveeno -- are in on the self-tanning game, the majority of the industry is made up of smaller companies. Even the industry&apos;s largest player, Jergens maker Kao Corp, only occupies 6.5 percent of the market. 'Tis the season to start working on your tan. And who better to help you than those quintessential and always sun-kissed California girls, the Kardashians? Good things come to those who wait (for their tans). 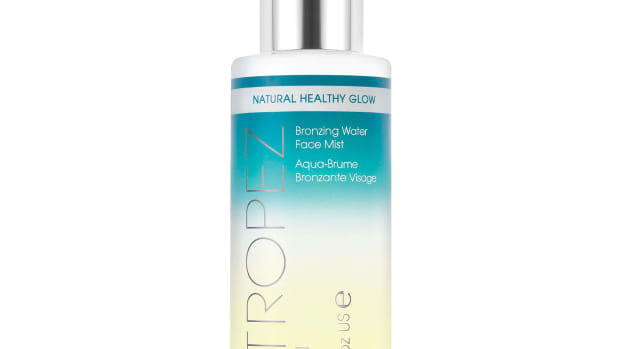 For when you want your skin to look dewy and beach-y and glow-y without the damaging sun exposure. We did all the dirty work so you don't have to.